The attached newspaper story resulted in the stall being located on the unused footpath backing onto Railway land in High Street Hornsby. 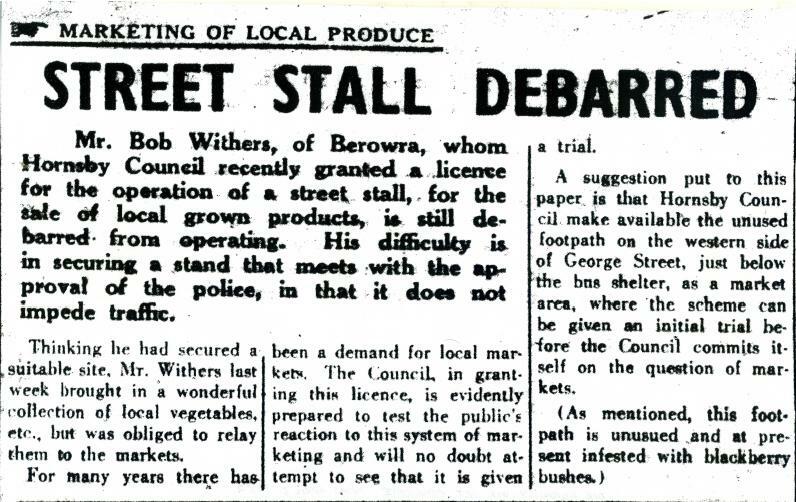 Dad (Bob Withers) & I operated it on Fridays and I operated the stall on Saturday, with product we grew at Berowra or obtained from other growers. We started the stall, because the three green grocers formed a cartel to offer us low prices for our products, when there was a sudden glut, the shops could not lower their prices until they sold their current stock, whereas we bought from growers and sold at low prices very quickly. We had a three ton truck and loaded it with 3 tons of beans and sold them 3 pounds for two shillings, whilst the shops still had them at four shillings for one pound, so they all sold in about 4 days, on another occasion we had 3 tons of Cauliflowers and pulled the same trick. In those days people pickled & preserved vegetables. I made my first money growing half an acre of Carnations & half an acre of lettuce at Woodcourt Road, and would sell them on the roadside on Sundays near the cross roads. Christmas is fast approaching and it brings with it much joy, expectation and happiness. There is always a special excitement about finding these quaint red and yellow-orange bell shaped flowers in the wild. The bells hang down in clusters of 3-10 pivoting on top of a tall straight stem, as they gently nod in the breeze. 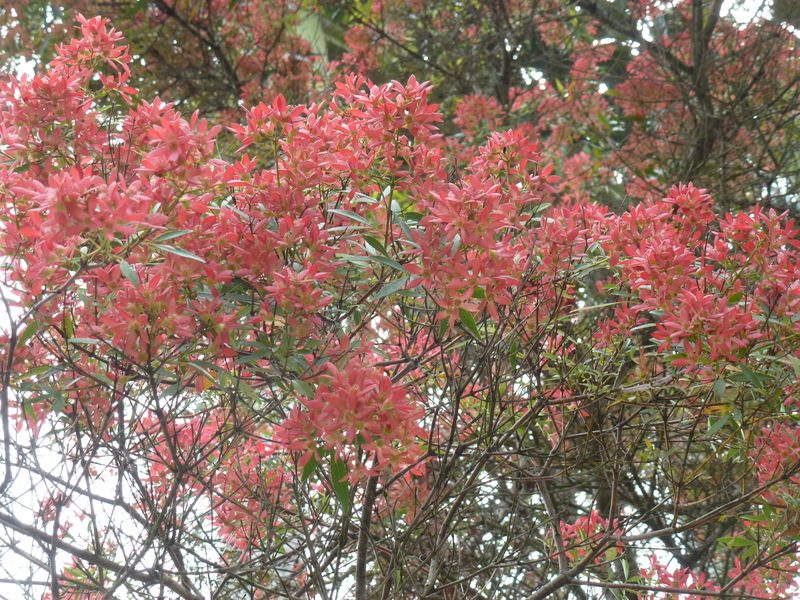 Their brilliant colours contrast with the surrounding green foliage. Yes Christmas Bells can still be sighted in the bush around Berowra. They prefer damp, protected positions. They were once a common sight along the roadside between the Central Coast and the Kuring-gai Chase area. Unfortunately numbers have been reduced by indiscriminate picking. 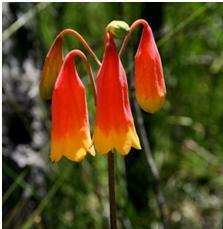 The Berowra area was well known for its magnificent variety of wildflowers including the delightful Christmas Bells. 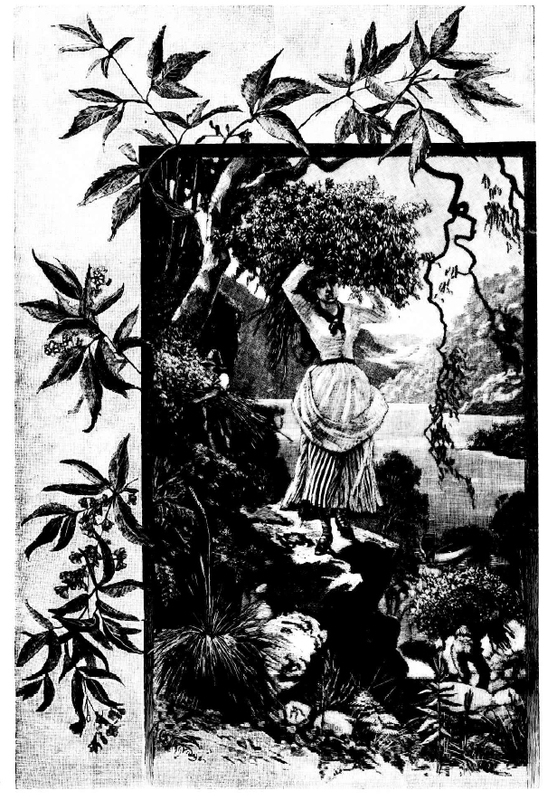 Margaret Preston had a great love for the local Berowra wildflowers as depicted in her art work. (Kuring-gai Chase) at Christmas time and take them to the City Markets to sell. How times have changed! 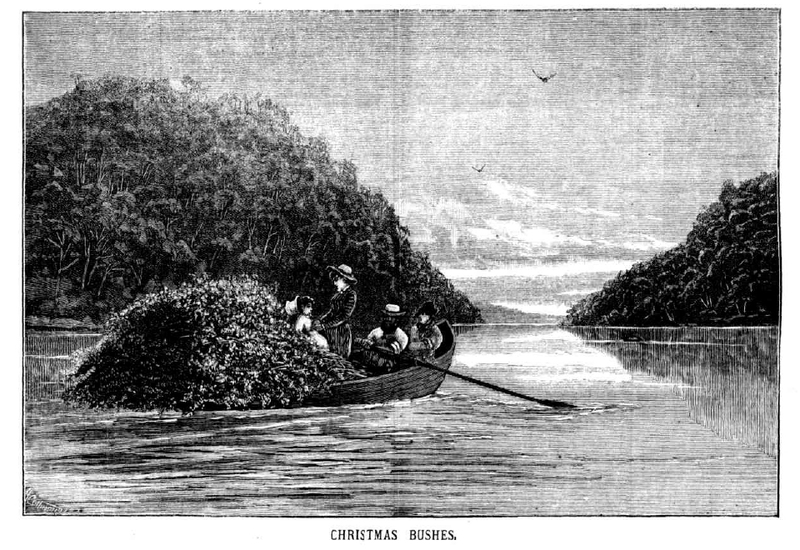 Now days, Christmas Bells are a protected native species. Many native wildflowers, namely Christmas Bells, are grown commercially and exported or sold locally. Today we have National Parks and other areas set aside for the preservation of native fauna and flora eg. Muogamarra Nature Reserve. 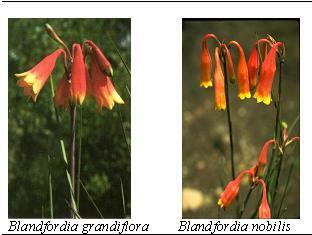 Blandfordia grandiflora and Blandfordia nobilis. With grandiflora the flowers are larger and spread into a bell shape whereas with nobilis flowers are smaller and more cylindrical. Both have 3 petals and 3 sepals. PHOTOS are taken in the bushland around Berowra and Berowra Heights. Most plants are off the beaten track and in a well-protected position eg. in a rock crevice or next to a sandstone wall. 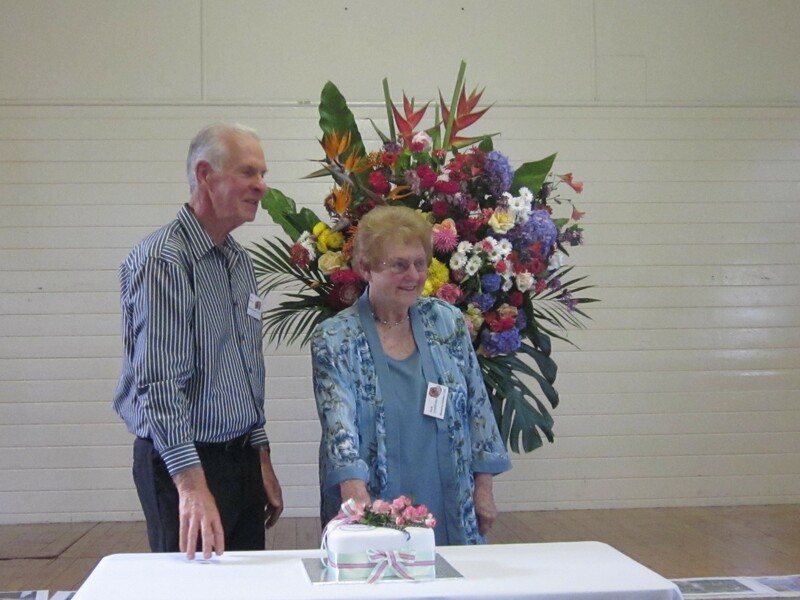 On Saturday, 4th May, The Berowra Garden Club celebrated their 60th Anniversary, at the Old School Hall, with over 50 members, past and present, attending. All had a wonderful afternoon. Among those present, was our local State Liberal MP Matt Kean. 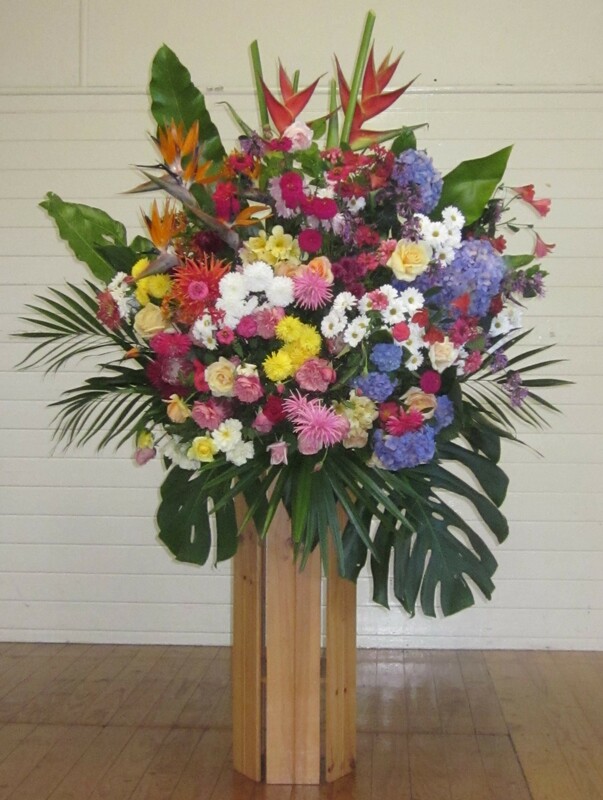 Cecelia Waite created a beautiful large display of colourful flowers on the stage. The table settings looked great, with white covers and a pretty little floral design on each one. The guest speaker was Judy Horton from Yates Seeds who gave a most informative talk about our Gardening History, and telling the Yates Family story – from their beginning in 1887 up until last year- that being their 125th Anniversary. Judy captivated her audience with a very interesting and at times humorous talk. 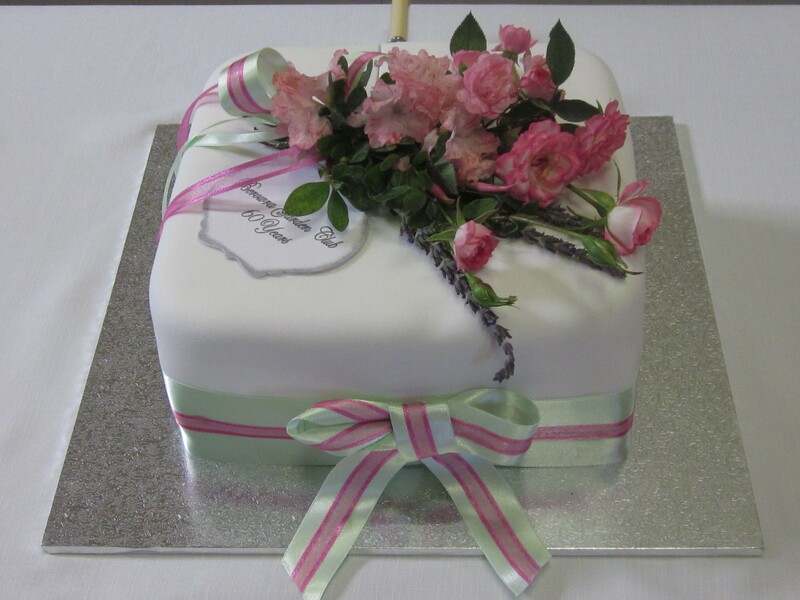 One of the club`s inaugural members, Mrs. Pamela Gartung, then cut the lovely birthday cake, with the help of the Club`s President, Mr. Les Brown. 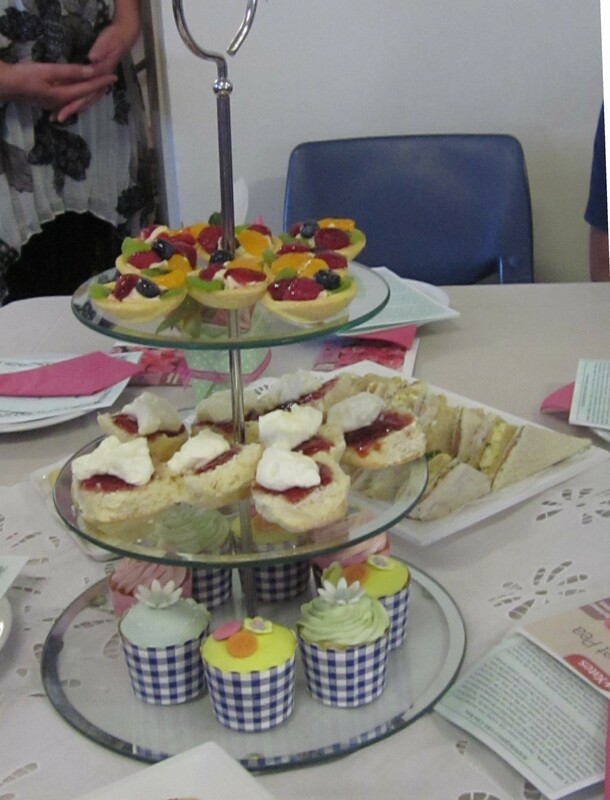 A sumptuous high tea followed, and included tasty sandwiches, vol-au-vents, mini quiches, scones with jam & cream, white chocolate mud cupcakes, rocky road, tea and coffee. Just part of the sumptuous afternoon tea! Memorabilia on display included old minutes and attendance books, photos and members cards. Door prize tickets were given out, and some lucky members won a gift of a small potted plant, or a special Yates Commemorative Decorated Seed Tin, which contained 12 pkts of vintage seeds, and a small booklet, with photos, telling the Yates family story, which is well worth knowing. I was one of those lucky ones! Did you guess our Mystery? 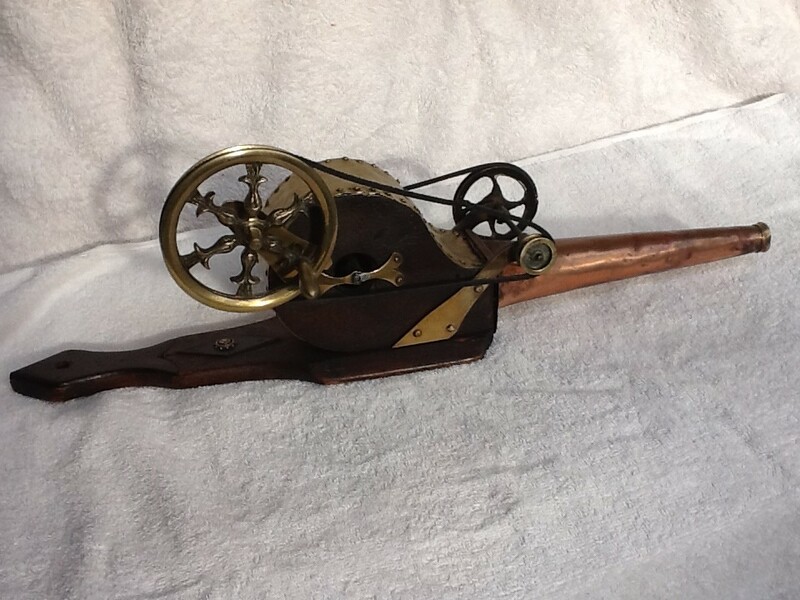 The June Mystery Object was a jewellers mechanical bellows. It dates from C1840/50. The wheel with the handle turns a series of wheels which in turn rotate a fan housed in the wooden chamber. This in turn expels a jet of air through the funnel. The bellows measures 53cm long and is smaller than a domestic bellows which are of the same design and measure approximately 63 cm.